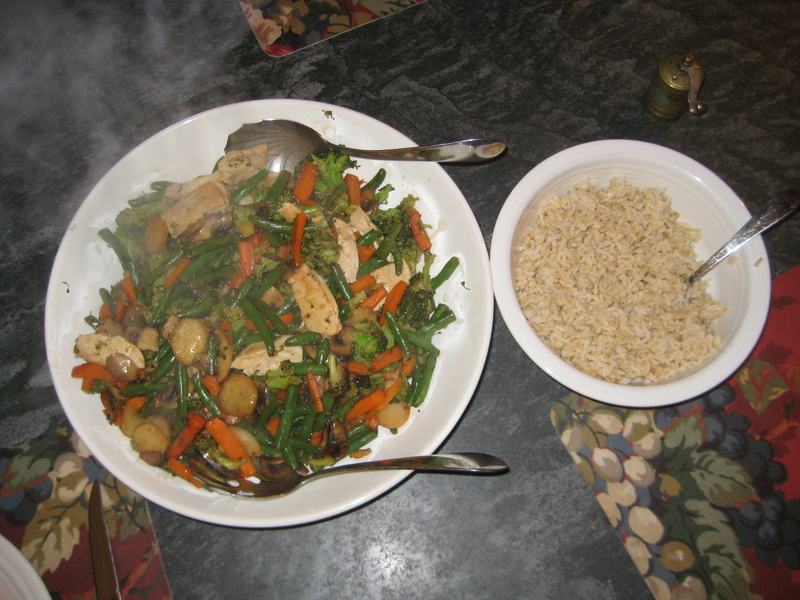 Stir fry is a great quick and easy meal to make. The best part is you can add or take out any vegetables you do or do not like. I mostly followed the recipe below but added waterchestnuts and took out the bok choy (due to poor selection in the super market). To make this meal even easier you can buy prepackaged vegatables that have already been cut up in the fresh produce department at the super market. A great side to serve with this dish is brown rice.